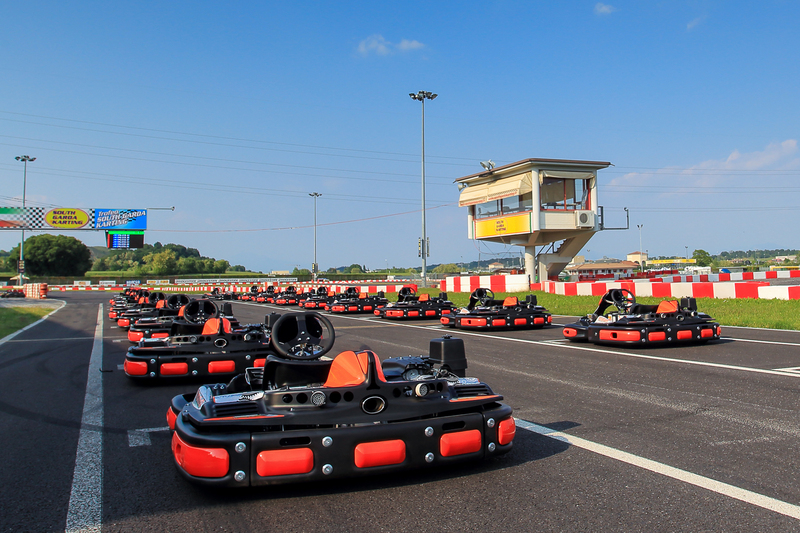 The Lonato circuit is now able to offer a spectacular opportunity for all karting enthusiasts with its new fleet of rental karts signed CRG. A Board for time monitoring for corporate and amateur promotional events. 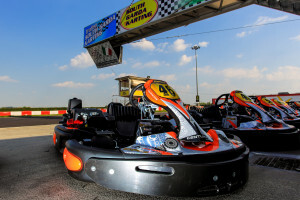 Soon the organization of Endurance Races. Lonato (Brescia, Italy). 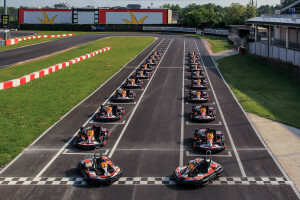 After the great success with the recent major renewal of the track, which today puts the South Garda Karting circuit among the busiest in Europe, this track has taken another significant step forward in rental karts with a new and spectacular fleet signed CRG. 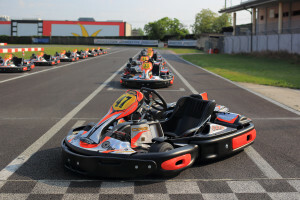 The South Garda Karting Circuit puts itself among the advanced systems also in terms of rental karts with the futuristic Centurion CRG karts, derived from many years of experience of one of the most important companies worldwide in racing, able to meet the needs of each kart enthusiast. Among the main features of the CRG Centurion rental karts, the security level guaranteed by the CE mark and reliability due to the whole experience CRG collected on the race adapting it to the rental needs. 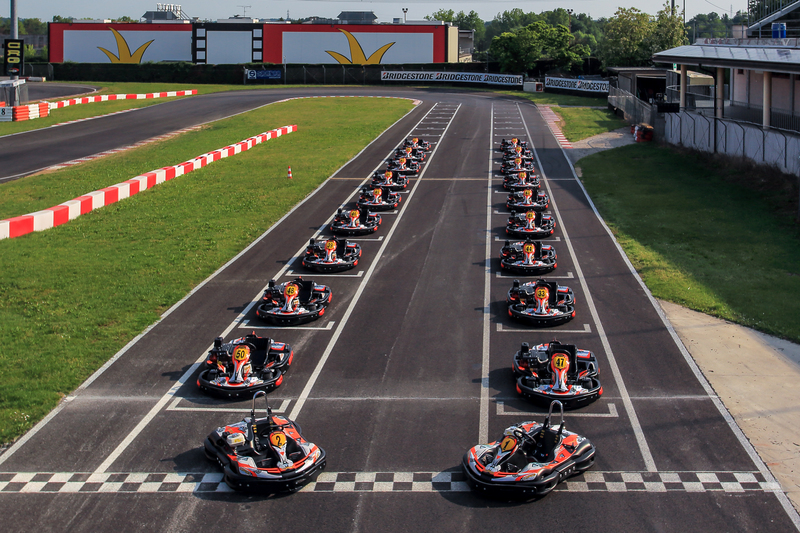 A philosophy also pursued with stylistic choices: not surprisingly, the Centurion has the stickers kit with the colors of the CRG racing team. The Top Line of Centurion Senior model, for adults and young people aged 14 years, is equipped with the Honda GX 390cc engine, with racing front and rear brake system. In the new fleet don’t miss the Centurion Mini, for children from 7 to 12, with 120cc Honda engine and high safety features thanks to the integrated fixed seat in the bodywork, the roll bars and 4 points harnesses. 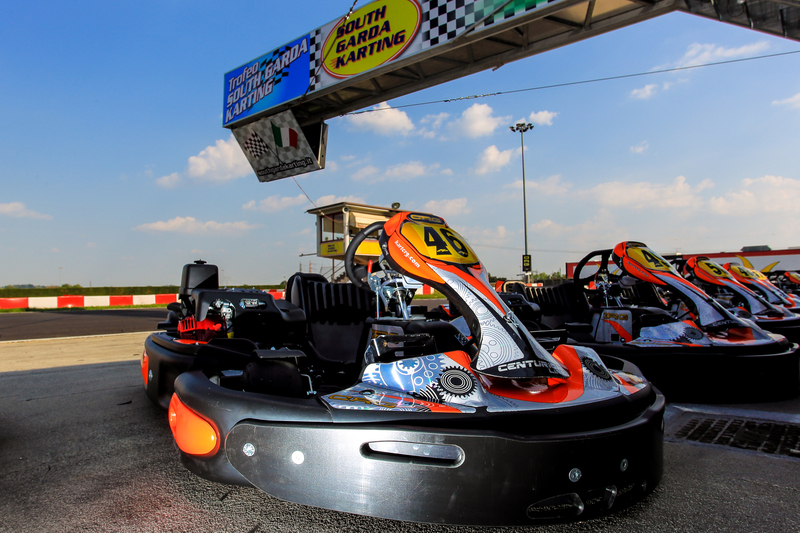 The automatic timing system with the board to monitor the times, completes the offer of South Garda Karting to follow all stages of the free practice Live Timing, and make it even more spectacular and exciting for promotional events. 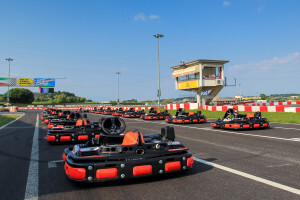 Soon they will organize Endurance Races.